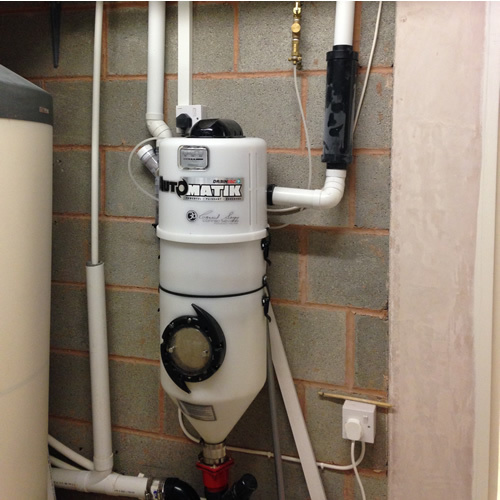 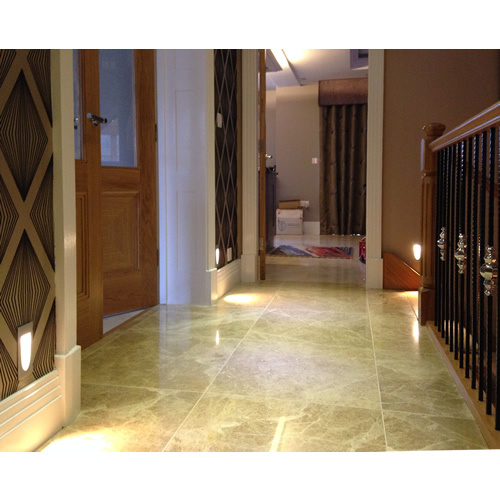 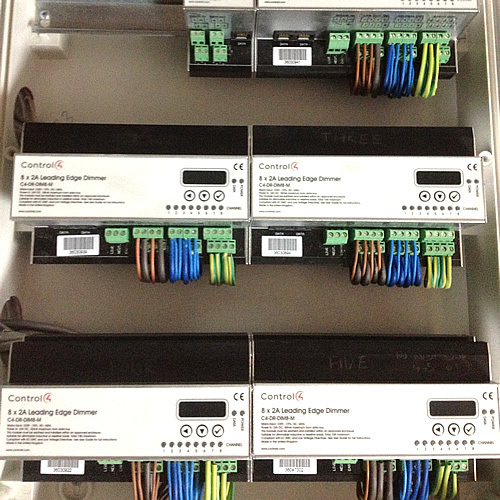 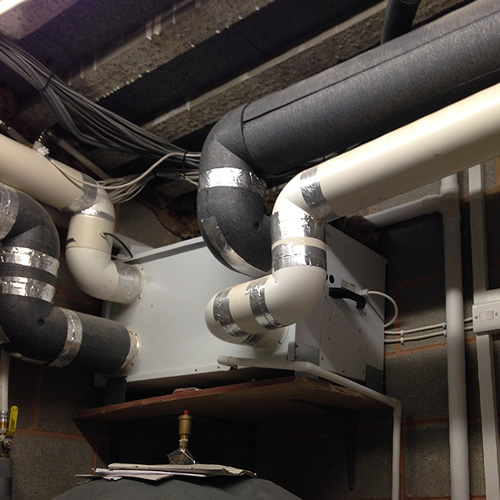 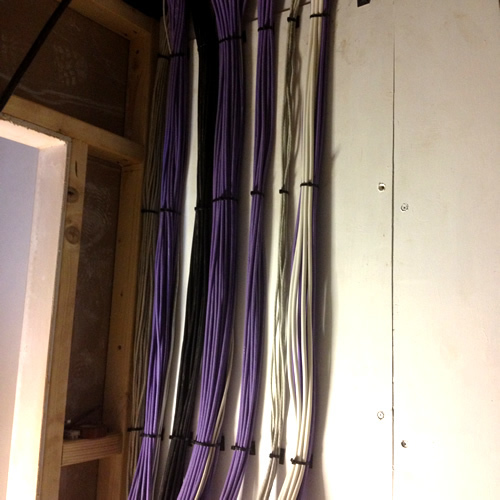 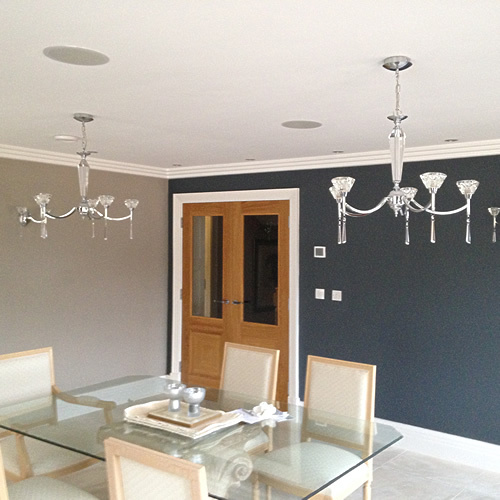 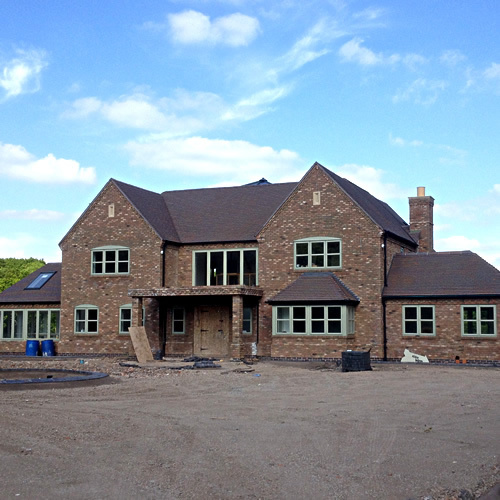 Summary: Internal and external lighting, power, audio, MVHR and security systems at a new build in Bromsgrove. 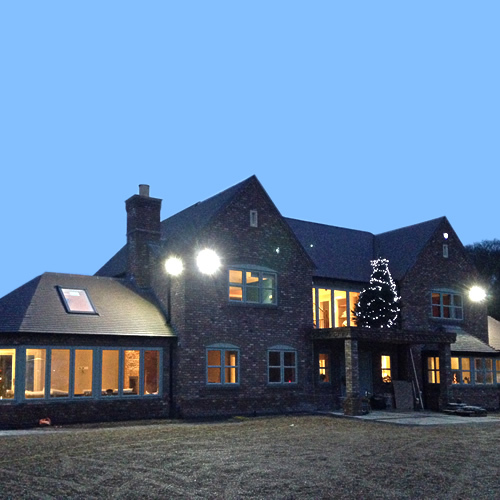 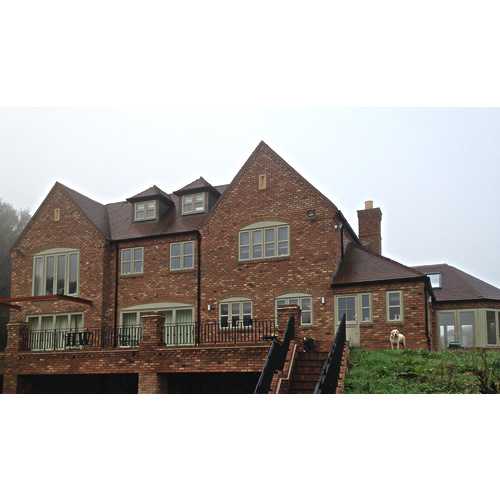 The Brief: In 2014 we were approached to work with a lighting design company to install the electrics, internal and external lighting, power, audio MVHR (Mechanical Ventilation Heat Recovery) and security systems in a seven bedroom hi-tech new build property in Bromsgrove. 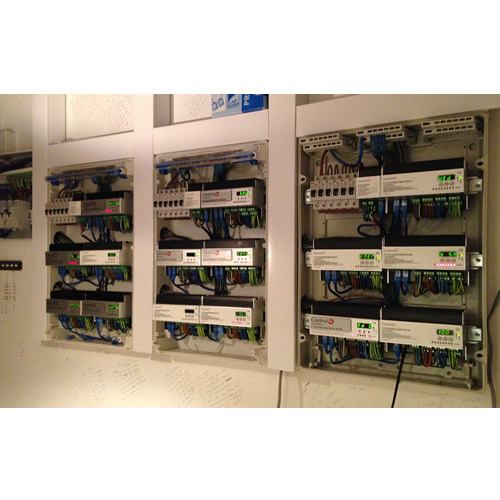 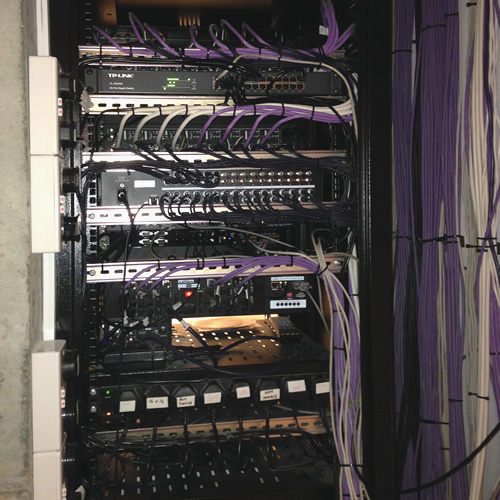 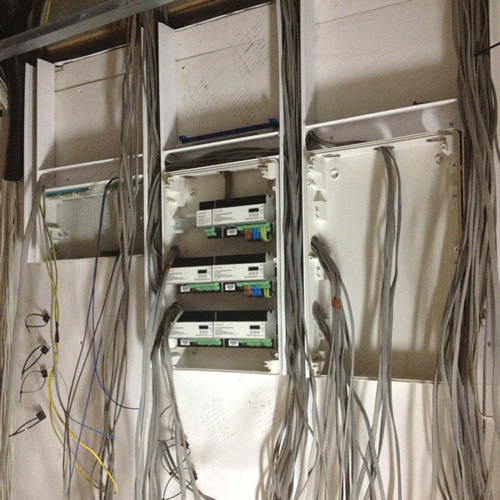 The house was automated so that almost every electrical device could be controlled via IPad, IPhone or via the internet. 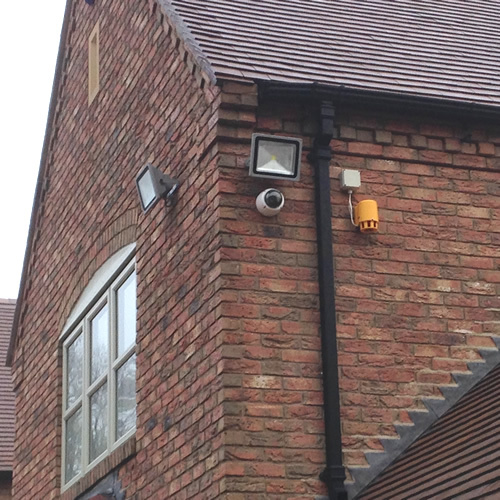 Controllable devices included lighting, heating, curtains, windows, media and security systems – alarm and CCTV. 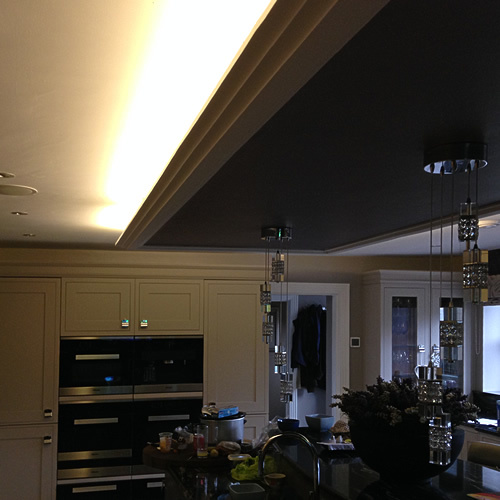 The project was carried out over a period of 1 year and each stage of the project was completed on time to a high level to the customers satisfaction. 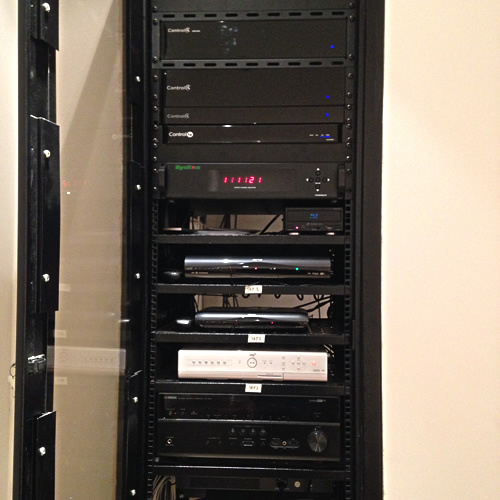 We will be returning to fit the home cinema system shortly.